A worker died after accidentally cutting an electrical cable while removing asbestos from the ceiling of a school, an inquest has heard. James Paul, 26, from Abertillery was pronounced dead at the scene of an accident at Cwmcarn High School, in Caerphilly , on July 19, 2013. An inquest at Newport Coroners’ Court on Monday was told that Mr Paul, known to his friends and family as Jamie, was electrocuted after accidentally cutting into a live cable with his Stanley knife. 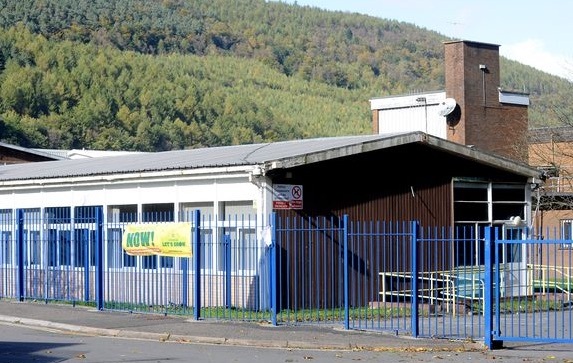 Mr Paul was employed by agency company PB Recruitment on behalf of Caswell Environmental Services, based in Port Talbot , who were carrying out the contract at the school. At the time of his death he was engaged to be married and had a two-year-old son. Senior coroner for Gwent David Bowen told a jury the brief details of Mr Paul’s death before the start of the evidence. He said: “In July, 2013, Mr Paul was employed in preparing Cwmcarn High School in readiness for the removal of asbestos from the building. “It’s a specialised job as it can result in respiratory problems and death. Removal is only undertaken by operators who are specially trained. Mr Paul was one such operator. “In order to protect the escape of any harmful fumes on any area they work upon, they seal it off by using polythene. Mr Bowen went on to say that part of the sheeting had been placed between the ceiling and the building. Mr Paul had removed ceiling tiles and had climbed up to the ceiling area to lay the polythene sheeting. Mr Bowen added: “There were electrical wiring and cabling and to feed the sheet around the cables, Mr Paul was lying across the ceiling and was using a Stanley knife cutting the sheet to fit. On the day of his death, Mr Paul had been working with colleague and friend Christopher Hamer who was present in court to give evidence. He told the court Mr Paul was lying up in the ceiling area of the science block where he was working on taping polythene to the area. He said: “There were wires all around him. There wasn’t enough room for two people to go up there. “There was electric boxes, tv screens with the monitors on. Mr Hamer said he passed Mr Paul his Stanley knife and saw him cut three to four times through the sheet before he shouted out in pain. “I jumped down and grabbed his arm because I thought he was going to get shocked and I tried to get the knife out of his hand”, added Mr Hamer. He said: “I asked to see the isolation papers by they were trying to cover their own backs. A statement was read out in court from Wayne Horler, another of Mr Paul’s colleagues. He described the temperature on the day of Mr Paul’s death as being 50 degrees in some areas of the building. He said: “At around, 2.30pm Chris came running down the corridor saying something was wrong with Jamie. “I went over and saw Jamie was lying on the purlin of the ceiling. Mr Horler added that he did not see an isolation certificate while working at the school. Another statement from site manager David Barnett was also read out. He said he was in the site office when he was told Mr Paul had collapsed. He said: “I saw James slumped in an unnatural way with his head hanging down. Some of the workers said his lips were blue and he was frothing at the mouth. 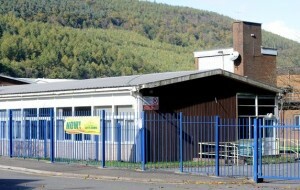 Mr Barnett said full isolation of the school could not take place as the CCTV was still operational at all times. He said: “This was spelt out to us on the first day at the site that the power needed to remain because of the alarms. “There was no talk of isolating the full electrical system or of using generators. Following Mr Paul’s death, full isolation took place at the school.